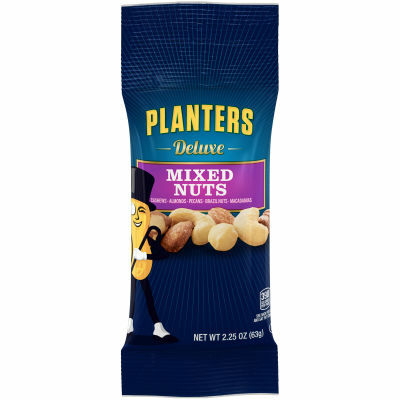 Planters Deluxe Mixed Nuts deliver that quality flavor you’ve grown to trust. This delicious mix contains almonds, cashews, pistachios, hazelnuts and pecans. The nuts are seasoned with pure sea salt, which enhances their distinctive natural flavors - Available in a convenient 2.25 oz snack-size bag so you can enjoy this crunchy treat while you’re on-the-go.